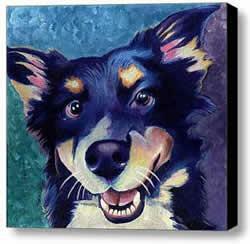 Custom Pets in Art in many styles. All I need is a few photos of your pet. 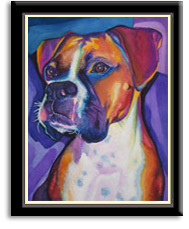 Reasonable pricing for custom Pets in Art! 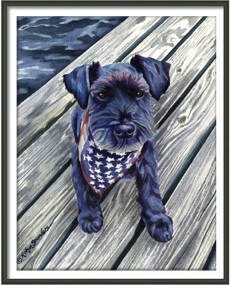 Check out the great Pets in Art gift ideas! 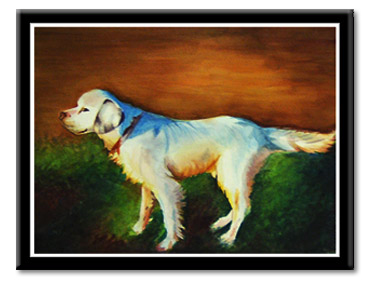 Pet paintings, prints, note cards, shirts and more! Other commissioned projects are welcomed. Call for an estimate at (630) 344-9095.
unless otherwise noted, are protected by U.S and worldwide copyright laws, all rights, title and interest thereto owned by Robyn Saunders.